The EVG620NT Automated Mask Alignment System, which handles sizes of substrates starting from less than 5 mm up to 150 mm, offers new state-of-the-art features, including a granite base, active vibration isolation and linear motors to meet higher precision and throughput requirements. Built upon EV Group's most flexible and versatile aligner platforms, these new systems enable manufacturers to easily scale between R&D efforts to volume manufacturing in a simple one-to-one process transfer from manual mode to full automation. 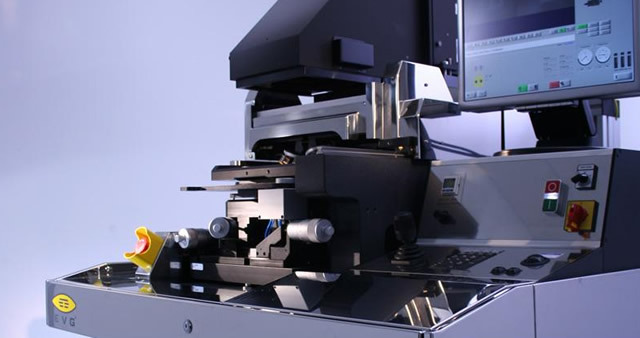 The ramp-up ease to volume manufacturing coupled with alignment accuracies improvements-down to 0.1 µm with insitu alignment verification-deliver significant cost-of-ownership (CoO) benefits.